Epiphanie Nyirankurikiyimana received a lifesaving drug through MCHIP’s global efforts to prevent postpartum hemorrhage. Busoga, Rwanda—With her labor pains intensifying, Epiphanie Nyirankurikiyimana knew the time had come to leave for the health facility. Rather than give birth at home without skilled care, the 25-year-old mother, pregnant with her second child, telephoned Immaculée Bampoyineza, the village community health worker who had educated her on the importance of prenatal care and developing a birth plan. Immaculée agreed to accompany Epiphanie to the health facility. Rather than wait for local transport—four men carrying a sling—the women began the three-mile walk to the health center. But the baby would not wait. Immaculée found a sheltered spot along the way, placed a traditional cloth on the ground for Epiphanie and helped the young mom deliver a baby girl. Although the baby appeared to be healthy, Immaculée was concerned about the mother’s excessive bleeding after the birth. Also called postpartum hemorrhage (PPH), this complication is the leading cause of maternal deaths in the developing world—including Rwanda, where 45 percent of maternal deaths are attributed to PPH. Fortunately, because Immaculée had been trained for this situation under the U.S. Agency for International Development’s (USAID’s) Maternal and Child Health Integrated Program (MCHIP), implemented in collaboration with the Government of Rwanda, she knew to give Epiphanie three tablets of a lifesaving drug known as misoprostol. Based on her training, Immaculée had explained to Epiphanie during her pregnancy that misoprostol has been proven highly effective at preventing PPH. 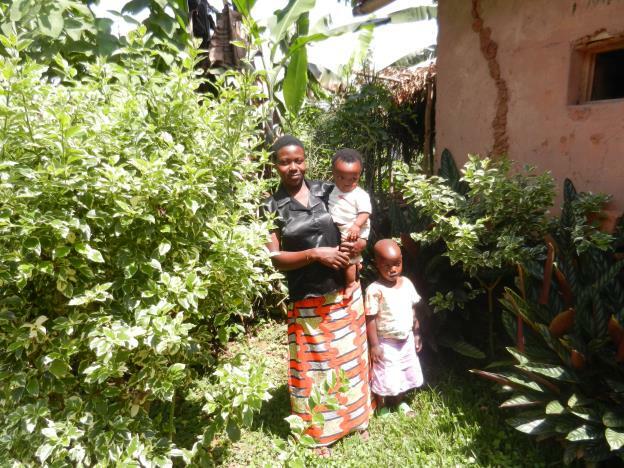 Immaculée’s work is part of a pilot project to reduce childbirth-related deaths in four districts of Rwanda. Under the Jhpiego-led project, launched in 2012 by the Government of Rwanda, MCHIP has trained community health workers to educate pregnant women on preparation of a birth plan, the importance of giving birth in a health facility, the danger signs of life-threatening complications and receiving a uterotonic medicine such as misoprostol to prevent postpartum hemorrhage. Dr. Beata Mukarugwiro, MCHIP’s Maternal Health Advisor in Rwanda, said that community health workers such as Immaculée are highly effective at promoting these types of key messages to encourage safe deliveries. “The first two hours after delivery are critical for the mother to prevent excessive bleeding,” she explained. The pilot project follows World Health Organization recommendations that women receive a uterotonic medicine—such as misoprostol—to prevent PPH. While another drug, oxytocin, is the best drug for preventing PPH, it requires refrigeration and must be injected by a skilled health worker, such as a midwife or doctor. Misoprostol does not need to be refrigerated and comes in pill form, making it ideally suited for preventing PPH in resource-poor settings when a woman cannot get to a health facility and gives birth at home—or, in Epiphanie’s case, on her way to the facility. Since the birth of her daughter Patiente, Epiphanie has been teaching other mothers in her village about the importance of preparing in advance for childbirth and taking misoprostol immediately after the birth if delivering outside a health facility. Through this Rwandan pilot program—and many other activities being carried out globally—MCHIP is successfully empowering women and their health care providers to prevent PPH. As of June 2013, more than 700,000 women giving birth have received lifesaving medicine to prevent PPH, thanks to USAID/MCHIP-supported programs.